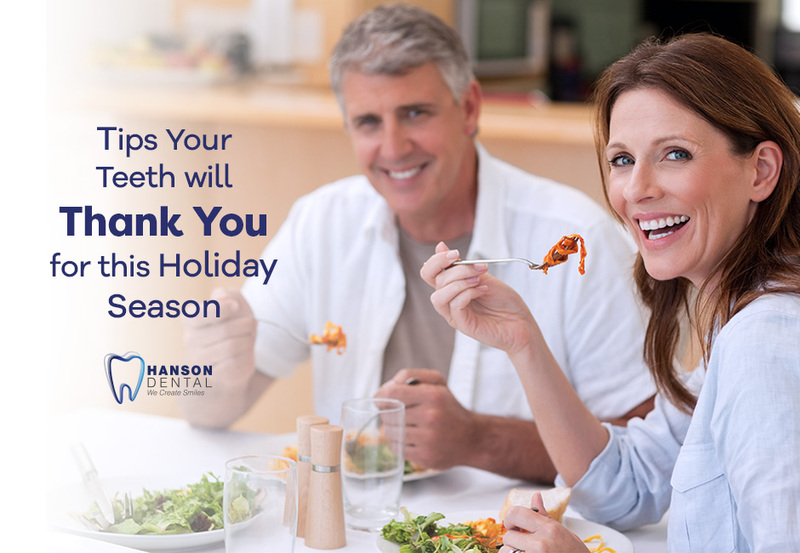 Your teeth and the future of your smile may be the last thing on your mind as you are getting ready to dig in to all the delicious foods offered through the holidays. You might think that because this only happens once a year, it isn’t going to cause much of an impact on your oral health. Because of this, we have come up with some tips that your teeth will thank you for this holiday season. Protein! Eating t turkey on Thanksgiving and Christmas is something that you love to do, and it’s good for you, too! Turkey has a lot of protein in it but it also contains phosphorus. When phosphorus is combined with calcium and Vitamin D, it helps to create strong and healthy teeth. This is something that is going to benefit your bones in your body, as well as your stunning smile. Do you really want your teeth to be stained different colors throughout the festive season? Likely, you’ve answered, “no”. This means that you need to be mindful of food and drinks that will stain your teeth such as fruity pies and wine. Ensure you’re brushing properly, and even consider whitening treatments with us to help your teeth remain sparkly white! Something that you shouldn’t worry about eating is your colorful vegetables! Each one will provide you with a range of vitamins, minerals, and nutrients that you need, so have as many as you like. The added bonus of choosing these healthy foods is that you’ll have less of an appetite for the foods that contribute to weight gain, too! We all know that excess sugar is bad for our teeth. Holiday foods tend to have plenty of sugar-laden ingredients. One of the things that your teeth will thank you for is reducing the amount of sugar that you consume through the holiday season. Instead of eating all the chocolate, pie and sweets that you see, try to embrace moderation when it comes to these foods. Brushing and flossing will be your biggest allies in care for your teeth throughout this season. Don’t forget to remind your children, too! By reducing bacteria that coats your teeth surfaces and in between, you’ll not only help keep your smile brighter, but help prevent cavities and gum disease. We hope that you will follow these tips for keeping your teeth happy through this holiday season!